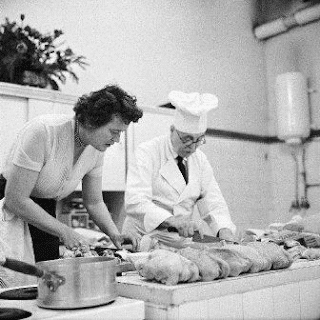 Julia Child is an inspiration to any food lover, chef, cook or woman out there. After watching Julie&Julia I am sure many of you have a new found love for this talented American (Parisienne) lady! 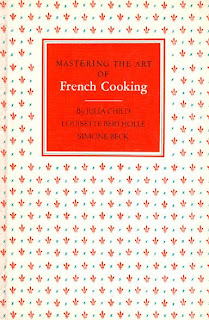 I was just given a copy of Julia's cookbook - Mastering the Art of French Cooking (the inspiration behind the header for my blog!) It is a new 2009 printed edition, but I am on the prowl for an old 1950's edition. I will be searching all the used bookstores in whatever city am I in from now on! I hope I have a chance sometime soon to get to the Smithsonian to check out her very own kitchen - from the house she cooked in. Here's to you Julia! Thank you for the inspiration - and I'm looking forward to testing your recipies and watching your shows!